Methane is a fossil fuel and a potent global warming gas. The impact of Methane as a global warming gas is 25 times greater than CO2 over a 100-year period, and 95 times great over a 20 year period. Listen to this podcast! Dr. John Cherry explains with utmost clarity what the issues are with (Hydro)fracking: the absence of science that fracking is safe, the methane leaking well heads and groundwater contamination. 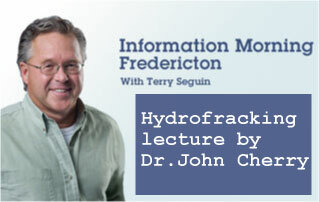 Dr. John Cherry is one of Canada’s top experts on the impact of hydrofracking on the environment. Methane is increasingly extracted by use of hydraulic-fracking from gas-rich shale in northeast BC. The BC Government is promoting the idea of LNG with the line that it would reduce CO2 emissions in Asia. This claim is coming more and more under fire. Recent studies results show that, although methane produces less CO2 than oil and coal when burned, methane leaks from well-heads, pipelines, processing and transfer operations. These leaks will offset any benefit of using natural gas (methane) to reduce CO2 emissions.